Nicole McCance Psychology offers psychotherapy and Neurofeedback services to children, families, couples and individuals in Toronto and the GTA. Nicole McCance is a Registered Psychologist and helps people struggling with a variety of issues, including: Depression, anxiety, PTSD, relationship conflicts, work-related stress, fertility issues; confidence and dating, and parenting. 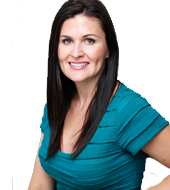 Nicole frequently appears as the go-to mental health and relationship expert on Global News, CTV News and Breakfast Television. She has also contributed to many print media outlets such as The Globe and Mail, Macleans, the Toronto Star, Men’s Health, Canadian Living and Elle Canada. She is the author the Amazon best-selling book 52 Ways to Beat Depression Naturally and is a sought-after keynote speaker for events like the National Women’s Show. Visit nicolemccance.com for more information.